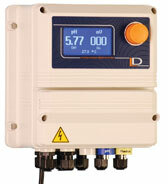 EMEC produces the LD, WD and the DIN series range of pH / ORP Controllers. LD and DIN are the ideal partners to manage sophisticated chemical treatment programs. The controllers are state of the art technology and match perfectly with the EMEC range of digital input dosing pumps to provide accurate chemical dosing under the most arduous conditions. Single units are typically used for pH control on salt chlorinated pools, or ORP control on spas using bromine as a sanitiser. 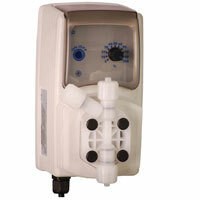 Combined units are supplied for use with plug in dosing pumps. 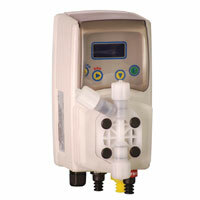 A dual pH & ORP Controller, the EMEC LDPHRH is programmable for dosing acid and/or base, and chlorine. Proportional or On/Off Control for pH and ORP, LCD displays show measured pH and ORP (mV). 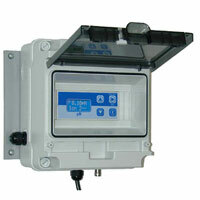 Includes manual/automatic temperature compensation (for pH only), max dosing alarms and weatherproof IP65. Control modes are On/Off, PWM (pulse width modulation) or PFM (pulse frequency modulation). Outputs: 2 x pH Pulse, 1 x pH Relay, 1 x ORP Pulse, 1 x ORP Relay. 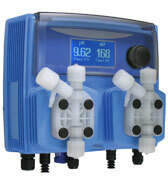 The EMEC WHPHRH is a pool controller for controlling levels of Chlorine (ie. ORP) & Acid (ie. pH) in swimming pools. 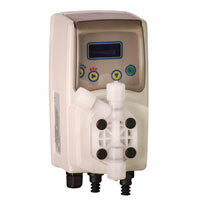 It provides reliable and accurate dosing with self venting (de-gassing) head-on Chlorine pump. It has been designed to measure ppm Chlorine, and compensate for pH, with Open Amerometric Cell (EMEC ECL6) and pH Probe (EMEC EPHM, sold separately). The DIN Digital Series are compact, versatile and user-friendly. They provide reliable and accurate measurements using a digital keyboard and LCD backlit display. The range is most suitable to OEMs wanting to include a controller in a total instrument package. 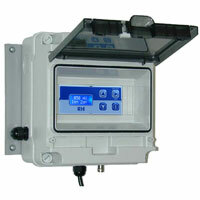 EMEC DIN RH/1G is an ORP meter & controller (ORP probe optional) in IP65 enclosure. It features 2 setpoints: ON/OFF or proportional with ON/OFF modulation. Other features include backlit LCD displays measured ORP (mV) and a 4-20mA output for ORP. A built-in GPO version is available. EMEC DIN PH/1G is a pH meter & controller (pH probe optional) in IP65 enclosure. Programmable for acid or base, it has 2 setpoints: ON/OFF or Proportional with ON/OFF modulation, ATC). Other feature4006 Foot Valve/Tank Strainers include backlit LCD displays measured pH, automatic temperature compensation and 4-20mA output for pH. A built-in GPO version is also available. An off line, acrylic, see-through probe holder for (2) probes. Incorporates N/O flow switch. Supplied with tubing, fittings and valve. Off line, acrylic, see-through filter. 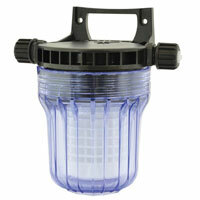 Has 60 micron washable cartridge. Supplied with tubing, fittings and valve. The EMEC VMSPO includes foot valve, injection valve, 2M of suction tubing and 2M discharge tubing. Features include simple mounting, reliable and accurate dosing, viton seals (suitable for dosing acid only) and a spring loaded injection valve with ceramic ball. The EMEC VMSAPO includes foot valve, injection valve, 2M of suction tubing and 2M of discharge tubing. It offers reliable and accurate dosing with self venting (de-gassing) head and viton seals (suitable for dosing Sodium Hypochlorite). 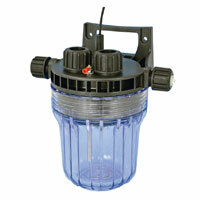 Features spring loaded injection valve with ceramic ball and simple mounting. The EMEC VMF digital pump includes foot valve, injection valve, 2M of suction tubing and 2M of discharge tubing. 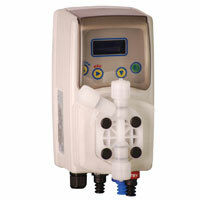 Features include reliable and accurate dosing, simple mounting and a range of programmable modes. A de-gassing model is available upon request. The EMEC VCO pump includes foot valve, injection valve, 2M of suction tubing and 2M of discharge tubing. Offers reliable & accurate dosing, with speed adjustment (1-100%) for varying dose rate. A solid Teflon diaphragm prevents wear. For further information, call or email our team today.